This 33mm. stainless steel 1959 “TUDOR TUXEDO” (a name we coined) has its original two-tone black and gold toned dial with original Dauphine hands. There is some aging in the black section (in the lacquer) between 11 and 1:00 that appears depending on the angle you view the watch. The age mark does not appear in the photo. I love the character this dial exudes-truly vintage. The steel case with ROLEX OYSTER screw down case back has the desirable bombe stye (inwardly curved) lugs all in very fine shape for its age. 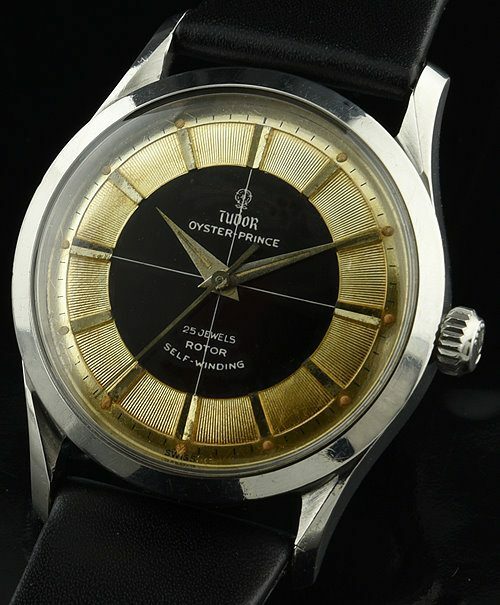 The automatic winding TUDOR signed movement was just cleaned and is accurate. 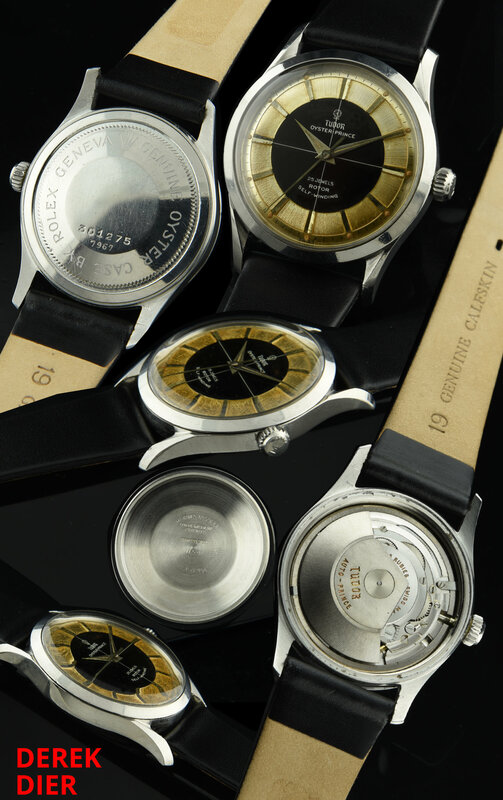 This is a similar watch which we supplied to Mad Men as worn by Roger Sterling.